1. Can I ask about difficult coworkers in an interview? I’ve been interviewing for a new job recently, and I’ve noticed that I’m frequently getting asked how I deal with difficult coworkers. I have what I think is a satisfactory response to that question, but what I’m wondering is if there’s a way for me to follow up on that question? I understand that there are challenges in any workplace, but I’ve had an unfortunately streak of really bad coworkers – some just outright mean people – and I’d like to know in advance what kind of situation I might be walking into. 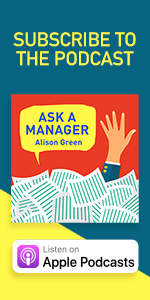 I was thinking that, when they ask if I have any questions for them, I could say something like “To follow up on your question about coworkers, what kinds of difficulties might I encounter in this position?” Is there a better way to ask that? But be aware that whether you get an answer that really gives you the low-down is something of a crapshoot. Lots of interviewers don’t feel comfortable being direct about this kind of thing, even though it’s to their benefit to have a pretty candid discussion of it. 2. Should I apologize for a horrifically bad cover letter? I recently wrote a cover letter for an internship and, at the time, thought it was pretty decent. I read a bunch of articles on how to write an outstanding cover letter and felt that I got a handle on it. But after a couple of days I reread it and realized what I had written was terribly informal and really reaching for stories on how my experience would make me qualified. The last thing I want is to be labeled as one of those bad cover letter writers that gets published on your site and would really like to send an email apologizing for my horrific cover letter. Do you think that would be a good idea? No. You really only get one shot at a cover letter per application. Plus, apologizing for a “horrific cover letter” is going to come across really strangely. Let it go. Also, it probably wasn’t actually horrific, especially if the worst offense was being informal — which is actually a good thing in a cover letter, to a point. A staffing agency sent me on an interview with a company, and the company really liked me. The problem is from the interview it seems like the job would be a lot more work than the pay the staffing agency is offering me. The company also mentioned that I can apply directly through them. How do I go around my staffing agency and avoid accepting a temporary job with very low pay to have a chance to apply directly to the company to be hired permanent? And are there any other options I should consider that I’m not aware of? Your staffing agency’s contract with the employer (and probably with you) almost certainly prohibits doing that. It would be fraudulent, and it would be screwing over your agency. 4. How can I tell a prospective employer that I’d like 4-6 weeks off every summer for a family business? After being unemployed since April, I found a great position in a new city (out-of-state, I have been trying to relocate). After a phone and then Skype interview, I was asked to come in for a face-to-face next week. I really want this job – it is entry-level, but at a nonprofit in the same field I previously worked in for 5 years. The pay is good, the people seem great, and I know I would be a good fit and enjoy the work. I am flying for the interview on my own dime, gladly. They seem really interested. Problem is: I have a seasonal family business in the fisheries that I travel out of state (to Alaska) to work at every summer (for the past several years) for 4-6 weeks, depending how much time I can get off from work. I love this work so much, and I make really good money doing it. My previous agency (same type of nonprofit) always allowed me to take an unpaid LOA. Last year it was 4 weeks, which I was grateful for. I would pay my own health insurance during this time, and my employers were always able to get a former employee to fill in and temp. It worked out great, and I think it says something about my performance as an employee that they agreed to this. Ideally, I would like to continue in this business. But how do I tell my potential new employers about this? At the final job interview? If I get a job offer? A month before I actually plan to leave? Abandon the plans for the summer to get the job? I want to be ethical and considerate but I also really want the job. Wait until you have an offer, and try to negotiate the time off at that point. Also, decide ahead of time if it will be a deal-breaker for you if they say no. Definitely do NOT wait until you already have the job, let alone a month before you plan to leave — at that point, the chances of them saying yes go way down, and the chances of them being really annoyed that you didn’t speak up earlier go way up. 5. Do I have to tell an employer I’m talking to that I was just laid off? A recruiter contacted me a few weeks ago about a really exciting position and asked if I’d be interested and if I’m looking to leave my current job. At the time, I said that I’m always open to new opportunities, but that I really enjoy my job so I’m not actively looking to leave. That said, I still went through the first round of interviews (which I thought went really well) and am scheduled to go back next week for second rounds. Then yesterday, I was laid off from my current job (along with more than half my team) so now I’m wondering how to approach this for the remainder of my interviews with the new company. Do I just pretend that I’m still employed? Is there something else I can say without actively volunteering the information? You don’t need to proactively mention it, but don’t say anything misleading, and if it comes up, you should be straightforward and honest about it. But there’s no need to make a specific announcement to them about it. should you attach your cover letter or put it in the body of the email? Dear OP #5. This letter was posted on Dec 26. I really, really hope the timing is a pre-scheduled post by Alison (How’s the thumb recovering?!) and that you were not laid off on Christmas Day. I got a job rejection today, but that has nothing to do with this letter. Totally not kidding either. Sometimes those things are automatic. A job that was posted for our system has a questionnaire that goes out a certain amount of time after it closes. Turns out that time was yesterday–and it requires a response in 48hrs. I think they may have an issue with folks not responding when that 48hrs is between Dec 25-26th! It is just an automated system, so they may have to go do it again. Which is a pain when you work for the government. To be fair, some people do work Christmas. And if you don’t observe, yesterday was just another Thursday. To the OP’s original point, I’ve been in the same situation. I just didn’t bring it up (it wasn’t asked). I didn’t lie, but I didn’t proactively mention it either. I didn’t mention being made redundant in my interview for my current job, simply because it didn’t come up (they did ask why I wanted the job and I answered truthfully because it’s something I’m passionate about) but afterwards I really wished I had told them, because there was some red tape around my leaving date and whether or not I’d get redundancy money which I then had to contact New Job about and seek clarification on once they’d offered and I’d accepted the job…I felt really awkward about it, as it probably looked like I was being disingenuous when I really didn’t intend to be. If being made redundant won’t have any impact on you in the same way, then don’t mention it, but if it might then it might be worth mentioning it in passing if/when given the opportunity. A company in the UK just laid off all its staff on Christmas Day. #1: Yeah, I hate it when there’s some evasive interview hypothetical like “How do you feel about working over 40 hours?” or “How do you deal with difficult clients” when I would rather just hear “Late nights or weekends may be required” or “You will work with possibly hostile clients.” Asking it in vague terms doesn’t really hide anything (and I’ve been on enough interviews to read between the lines). #2: It’s probably not as bad as you think. At worst, I’m guessing it’s just a resume summary. It would look strange if you emailed a relative stranger to apologize for that. #3: It’s pretty unethical that that company wants to skirt its contract terms. They paid the staffing agency to do a lot of the candidate-search leg work (as well as paid them to cover things like UI, payroll taxes, and initial screening), so it sort of sounds like they’re trying to have their cake and eat it too* by getting you to apply directly. Aside from the ethical aspect, it sounds like the job (as a permanent employee) isn’t even a guarantee. 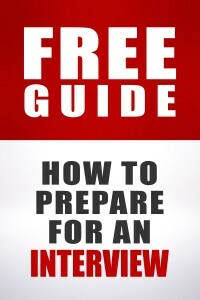 #4: Have you thought about looking into jobs at schools or universities? (Possibly an obvious suggestion, I know.) I know not all school positions are based around a nine-month period, but maybe you could find one that has that setup or at least has a slow period that would provide for a sabbatical. *I’ve never quite understood that saying. Wouldn’t you want to eat the cake? I don’t know, at times I’ve seen such a beautifully made cake that I’ve wished I could eat it, but also have it to look at. Maybe the saying was coined by wedding cake chefs. What a miserably hungry job that must be. I don’t know about that. A lot of wedding cakes are “iced” in &/or have decorations made out of fondant, which doesn’t taste good. Having had fondant, I think it must be an edible type of Sculpy, a modeling clay. And it’s possible Sculpy would taste better. I’ve always taken the fondant off. Apparently there’s a bit of debate over whether you’re really supposed to eat it though? I never have. I make a marshmallow fondant that changes lives. It’s a little confusing, but the saying is saying that once you’ve eaten your cake, it’s gone, you can’t still have the cake. This reminds me of the Hitchhiker’s Guide to the Galaxy text adventure game (from much-beloved and dearly-missed game developer Infocom), in which one of your goals was to possess “tea” and “no tea” in your inventory simultaneously. I lost many hours of my life to that game. Yup. A clearer way to phrase it would be “eat your cake, and have it too”. I join Stephanie on this, though–as a kid I never got the problem, because I don’t want to have cake, I just want to eat it. Maybe how you read it depends on how you score on the marshmallow test :-). The “cake you have” in the saying isn’t the wedding cake — it’s the groom’s cake, which was originally fruitcake-type cake that was cut and sent home with guests in little boxes as a keepsake. So you could have the cake — or eat it. Some traditions say that the unmarried women at the wedding got slices to take home, and if they slept with the packaged cake slice under their pillows, they’d dream of their future grooms that night. I couldn’t find a site with all the details I remember about groom’s cake, but Martha Stewart Weddings dotcom site has some of the information I remember. The position I’m in, and equivalent positions, includes a painful slog of being on call for a week straight (outside of offices hours) several times a year. We are very up-front about that, about how it’s compensated, and about the training received before it happens, in interviews – then ask if they can deal. The average on actively rude customers is lower than that on working weekends. Ah, ok! Thanks for the perspective. Super helpful. I’m in a similar situation as #5. I had submitted an application for a job before putting my two weeks notice in, ( terrible work environment, I quit without a new job for my wellbeing and I am in the position to do so) my resume said “current.” I had a brief phone interview with a recruiter who said the hiring managers would contact me for an in person interview. This phone interview was on my last day of work at the company. I never lied to the recruiter, but I didn’t tell her I was leaving. Does the same advice apply? How do I let them know now? The last thing I want to do is look like I’m lying! First you should update your resume with an ending date for your most recent position for other jobs you’ll apply to. Like #5 you don’t need to proactively mention it but be prepared for the question of why are you thinking of leaving your current position. Even just answering that without mentioning that you already left would appear a little deceitful to me. You really can’t allude that you still work there. Agreed. You aren’t a liar because you were still employed when you applied, but it’s dishonest if you get asked a question at this point and answer as if you are still there. I didn’t think anything of the ” how do you handle difficult reports” as I have asked that question many times in hiring situations. I want to hear that once policies are reviewed, bench marks and expectations are established and reviewed in a private setting, that the prospective employee will know to document success or failure . An example if previous success would be nice. That said, I smugly did just that in my most recent interview with a situation that I found myself and coached the employee to success. In the new position I was mired in a year and 1/2 PIP with a long term employee who professed bewilderment and anger that her work and her productivity were called into question. I can’t imagine the hiring committee sharing in a job interview if asked, why yes we suspect that you will be tested on arrival on exactly this issue with Ms. Lannister who has an imaginative way of not completing assigned tasks, placing blame on others and lying about insignificant and important issues. When I do interviews, I almost always ask a question about working through a conflict with a coworker or working with a difficult coworker. It’s not that the person I’m interviewing will be coming into a difficult situation, but a way for me to learn about their communication and conflict resolution skills. It’s hard to completely screen out people who don’t work well with others, but if the candidate tells me they run to their manager to fix little problems, or they seem to have major conflicts over small issues, it’s a red flag. I ask about working with difficult customers or clients too. 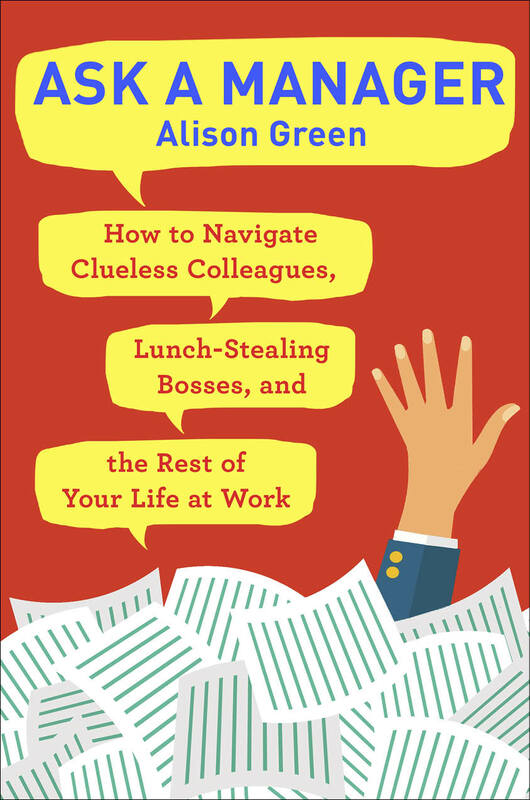 As much as we’d like to avoid it, everyone has to work with difficult people sometimes (or else Alison would have far less to write about). Yeah, this is what I’ve always taken the question to mean – the interviewer isn’t necessarily saying you’ll be dealing with jerks, just that they want to know how you handle it when conflicts do come up. I also like to ask a question about dealing with co-workers, because it has gotten me some really good information about people I’m interviewing. I’ve had people describe situations in which they were obviously the instigator in the conflict that they had to go to their boss to resolve, and they never appear to have learned the lesson that they were the ones in the wrong! I think it is because team work is so important in what we do, so being able to handle times when mis-communications arise is a key skill. #2 I think referring to bad cover letters might just be the generic one you use as a before (like in your job hunting book), it’s certainly not a bad one though. #4 Definitely decide if it’s a deal breaker before hand. You might also have to take at least this summer off if you’re job hunting now and just start a new position. #1, I agree with you. I would love to be able to do this. Unfortunately, I don’t think you’ll get a straight answer. Who would say, well we have one woman the boss is afraid of, she’ll try to ruin your reputation and never get her work done. I think all you can do is use your best judgment. If you think people are being evasive, consider that in your decision. If you seem to get answers with no actual information, consider that. I think every workplace has at least a few people who are tricky to deal with. I hope you find a place where there is no one who is outright mean. #2 they’re probably not going to think it’s horrific unless you point it out, and it’s probably not even horrific. If you don’t get it , it could be the cover letter and it might not. But think of it as something you know for next time, though i think informal is actually better. In any case, an apology is out of order; after all, the OP didn’t do anything to harm the perpective employer. Even if it’s the worst resume ever, I doubt the hiring manager was traumatised by it. Hee hee, I just had a picture in my head of the manager dropping the bad resume on the desk and running out of the room shrieking. I had this happen during my last job hunt. I took it as a red flag when the highest up person I met with flat out told me the people I would be supporting were very difficult. See, I think that if it’s done right that’s a good thing–it clarifies the specific challenges in this job and makes sure that the person coming in is ready for them. Obviously if it’s just gossipy trash-talking that’s not a good sign, but letting an applicant know about some of the downsides of the job is really helpful to both sides. It was gossipy but I think it was a great thing. The job looked appealing from the outside but this let me know the exact dynamic. I’m very happy they didn’t try and conceal anything. I wouldn’t say it’s a red flag necessarily. It’s a not a bad thing when the interviewer is being upfront that the environment will be challenging; they could easily conceal this till after you are hired, so the fact that they are putting it out there means that they know it’s an issue and are looking for a person who can deal with it. And it gives you the opportunity to ask questions and get useful information about the culture; after all, difficult could equally mean “demanding and perfectionist” and “abrasive and rude”. Sometimes a job requires certain skills that either appeal to people who already have “left of center” personality types, or they are inherently stressful and take a toll on everyone’s ability to present a pleasant front 100% of the time. If the company’s current employees are good at their jobs, I don’t see anything wrong with the business retaining them while also giving potential new hires a heads up about what they’d be walking into. I generally agree with what you’re saying, but it would make me question if I really want to stay in that industry if I keep coming across the same personality minefields over and over. Yeah, stay classy. I would see a red flag there, also. I think that sometimes people do that because they are looking for the person who does not flinch. And there are people who will listen to a problem and not break stride. “Okay, in that case I would do x, y and z.” I may or may not respond that way depending on the nature of the problem. I watch how the interviewer presents the problem. “Well, we had to fire that stupid witch because she screwed up everything she touched. The person who replaces her will have to clean up her big mess.” Okay, I am done here, because I feel that I will be labeled as the next stupid witch. I can live with, “We had to let the previous person go. Part of your responsibilities will be to fix things that have not been completed and to check completed tasks. Will you be able to take this on?” In this second example the person is explaining the job to me and giving me bare bones background so that I can understand why I am being asked to do certain things. Totally different attitude between the two examples here. I have taken two jobs that were presented to me this way and had positive experiences both times. Exactly what I was trying to get at only illustrated much more clearly. Appreciate the feedback. Friends are telling me to take this job and keep looking but I’m not sure that is the way to go. It feels very gossipy, not really solution focused. The other administator has been there over 20 years and there are issues with her performance. I’ll be working along side her, not supervising her and feel a little uneasy at how much I’ve been told and it’s making me question what kind of environment the office is. She scheduled my interview and I could tell she was very stiff on the phone but when I came in for the first interview I had a long wait because another interview ran long (why book back to back I don’t know) so we talked for awhile and she warmed up. But to know she has performance issues, doesn’t feel comfortable with the computer (doesn’t keep her email open, submit time sheets correctly) and they are hoping she retires… feels wrong and makes me feel like I should just stay away. I get that they want me to bring something different to the office and I’d say I’m easily her polar opposite but I’m all about keeping it classy and this feels off. EXACTLY! When I tried to ask how the tasks are split and if we share any responsibilities I was told “well we want to make sure you know how to do what she does, up until now she’s been the only one who…” and all I could think is ‘oh boy, does this mean I’ll be doing both jobs now?!’. The reason they are hiring me is because someone else retired. Supposedly the same issues. So if that’s how they handle performance that doesn’t leave me in a great spot. #3 Besides the reasons already mentioned, while temping is tough because the pay is lower and you don’t get any PTO or paid holidays, the advantage is you can try the company out for fit and if it works out you can go perm. If it doesn’t, it looks much better on your resume to leave a temp position after a few months than a perm one.And if you do a good job, your temp agency is way more likely to place you again. #5 happened to me, and I agree there’s no reason you have to proactively bring up getting laid off, but I’d be prepared to tell them because, “Why are you looking to leave your job” is a pretty standard interview question. In #3, the answer includes “It would be fraudulent, and it would screwing over your agency.” There should be a “be” after the second “would. Thanks for fixing it. This is a great blog! I’ve gotten addicted to it. #3: Wait. I feel like there’s something missing here. Did the company specifically state that you could apply directly to get a better wage, and/or to avoid going through the agency? Because if a job is permanent, it’s permanent, whether it goes through an agency or not, and you can negotiate whatever salary you want – you don’t have to be stuck with what the agency told you. (If it’s permanent or temp-to-perm, I’d want to speak directly with the company.) The company can negotiate based on what you’re asking for, and what their contract spells out in fees to the agency. In fact, the agency would probably be thrilled to have you go permanent, since they get commission. So I’m not sure why this is even a temporary vs. permanent question, if the company is filling a permanent position. I’m #3! I submitted that question after interviewing with the company the staffing agency wanted me to place me with. During the interview, various permanent positions were described to me as they were in the process of filling those positions and invited me to apply but to hold off on communicating with my staffing agency after the interview and wait for them to figure things out (i.e. what their contract is with the staffing agency, etc). That’s why when I didn’t get the call back later that day as they promised, I began to panic and started wondering what really was going on, hence submitting my question. Well next day I called my staffing agency and figured that since they were my 1st contact and my reason why I went on an interview in the 1st place that I would be clear and transparent with them. I’m glad that’s what I did because that company had done the same, explaining to the staffing agency how the interview went and that they would like to hire me permanent eventually. So it all worked out! Re #1, that probably means they have difficult people on the team you’re going into. Would take it as a red flag unless you have lots of experience of coping in and/or sorting out a toxic work environment. Late to the game, but re: #5 – if at all possible, *make sure* you can use a good reference or two from your now-most-recent employer – ideally someone who managed you – who can sing your praises. There is at least going to be a nagging doubt in the back of the interviewer’s mind that they’re talking to someone who knew they were underperforming, and unfortunately just couldn’t make it out before the chickens came home to roost. “Well, I was actually laid off yesterday. (Pause here — I think this is an appropriate moment for a reasonably empathetic human interviewer to express sympathy/dismay/etc. If they don’t, I’d actually consider that a bit of a red flag.) Yeah, thanks – I had worked there for (length of time) and I was very proud of the work I accomplished as a part of that team. Company X was very clear that it wasn’t performance-related, but was simply due to (them getting out of the teapots business, restructuring, a plant closing, etc.) Assuming we get to the point where you’d like to hear from my references, I’d love for you to speak with my former manager there, who I think will attest to that. This way you’re honest and up front, you address the most obvious concern re: your past performance, you stress that your interest in this position existed before you got laid off, and you end on a positive note.